Need athletic socks? We bet you can't find a better deal! 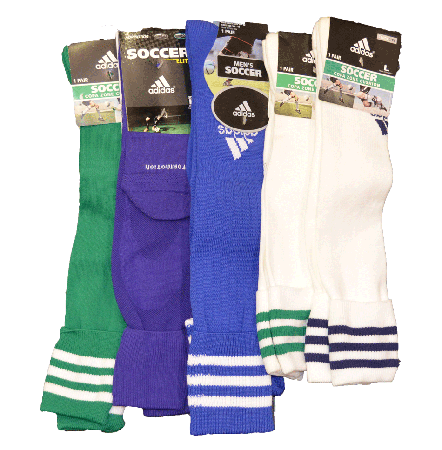 We have an overstock of adidas field socks, adidas Formotion Soccer Edge socks, Copa & Copa Zone socks. ** Duplicate colors/sock combinations may be sent depending on current stock.